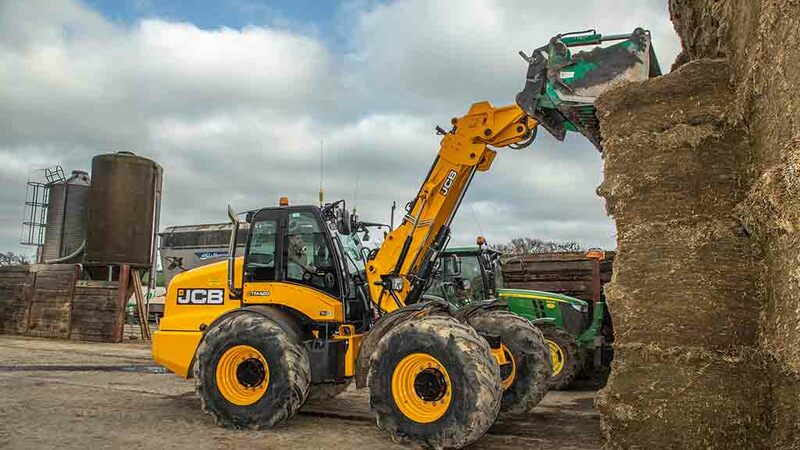 One of the first JCB TM420 telehandlers to roll off the Staffordshire production line has been earning its keep with a Somerset dairy farm, having clocked more than 800 hours in just seven months. 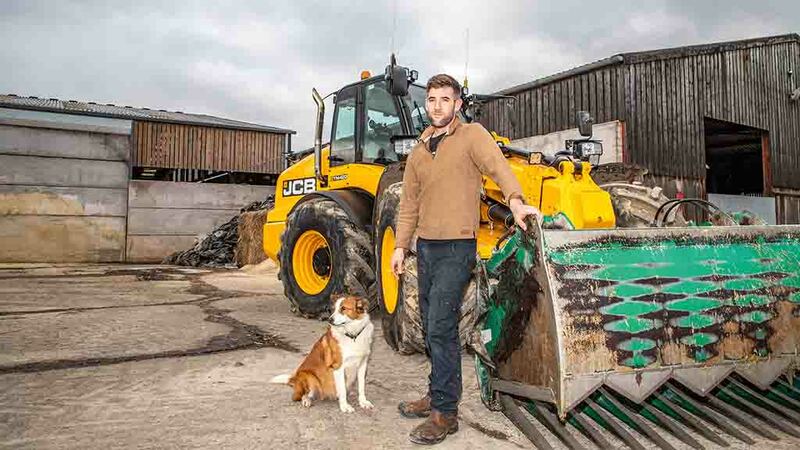 From the 182-hectare Bollow Farm, East Woodlands, Frome, the Aylesbury family operates an extensive machinery fleet, including a self-propelled forager, to ensure it makes the most of silage quality for its 400-cow herd. The only exception is forage maize, where it uses the trusted services of a local contractor for planting and harvesting. When it comes to materials handling and extensive clamp duties, the farm relies heavily on its telehandler. Until recently, this was a rigid chassis Cat TH407. But now there is a new kid on the block at Bollow Farm, in the guise of a JCB TM420. So what prompted the farm to make such a radical move and shift from a side-cabbed driving position with all-wheel steering? However, to meet the needs of the business a more versatile machine was sought. Henry says: “We tried a JCB TM320 on demo and also a JCB 419 Farm Master and both were good. The 419 loading shovel was superb on the clamp, where the pivot-steer telehandler TM320 would spin its wheels far too easily. It also lacked grip around the yards. “And where the TM was not heavy enough, the Farm Master was just too much of a compromise,” he adds. At this point, Henry was invited through Smarts to see and also try out the new TM420 at JCB’s working quarry. The TM420, it may be recalled, is the bigger brother to the TM320. It features a longer wheelbase, is bigger overall, with larger wheel and tyre options and the development of an all-new boom and chassis. 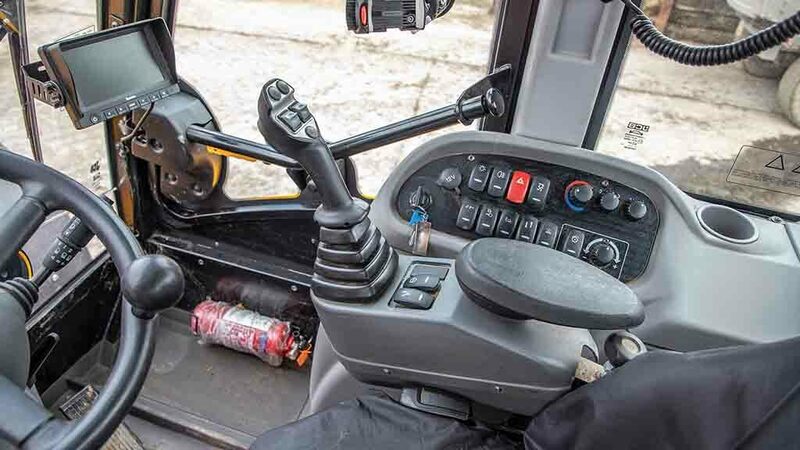 As the new flagship pivot-steer handler from the British maker, it answers criticisms from TM320 customers wanting extra capacity and productivity. Under the skin is a 145hp JCB engine with a torque converter and six-speed powershift transmission. The farm has a wide variety of attachments and when not on clamp duties with a three-metre push off fork, the TM420 fills the farm’s diet feeder on a daily basis using a shear grab, handles muck, uses buckets, pallet forks, bale spike and a sand dispenser. However, the farm has had to change some attachments and also modify couplings to suit the JCB’s Q-Fit headstock. 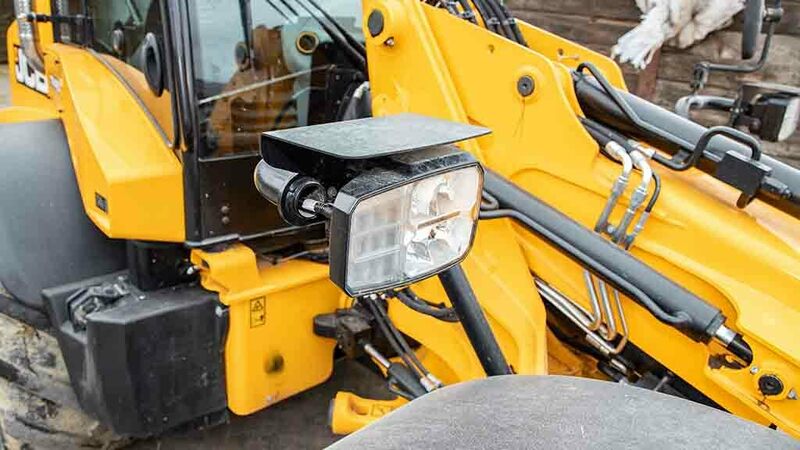 “Getting the pallet forks on and off is a real hassle and I would much rather have seen a pin and cone system fitted to make attachment changes much easier,” says Henry. Since arriving at Bollow Farm at the end of July last year, the TM420 has certainly earned its stripes. With 800 hours under its belt, it is more than capable of keeping up with the farm’s JD7300 self propelled forager and also the contractor’s machine during maize harvest. “The TM sits on Michelin Ultraflex tyres, which we run at 14psi in the rear and 17psi up front,” he says. “It just grips. And the places I can get into – and out of – with the pivot, are far better than a rigid handler. I would not want to go back. Henry has pushed the boat out with a few options, and a little arm-twisting led to the installation of a polished chrome exhaust pipe, front light protector plates and LED lighting on the boom and cab roof. A five-year, 5,000-hour warranty has given the farm some relatively fixed costs throughout its intended period of ownership, though Henry thinks his time spent in the cab has revealed the TM’s taste for diesel. The TM420 has been returned to its maker as part of ongoing field trials and analysis with customers. 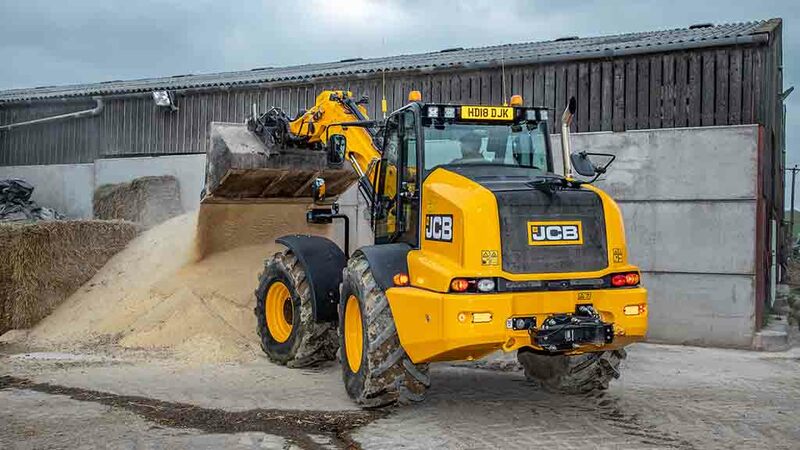 It is reported to be the first model retailed in the UK and, as such, JCB is making the most of feedback from such a busy on-farm operation. And during the period spent without the big TM, a ‘smaller’ TM320 stepped in. He also likes the machine’s boom ride control, a joystick that moves with the seat, and the reversing camera. With 800 hours on its clock in a little more than seven months, it is fair to say the honeymoon period is well and truly over. Though its appearance suggests the machine has done a fraction of those hours.